Contact Dr. Boatswain at 347.418.4739 or at bboatswa@montefiore.org. Did you know you can access free guided relaxation tracks any time of day or night, by phone and online? 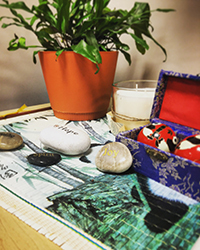 Montefiore's Relaxation Hotline offers a choice of gentle music and guided relaxation tracks in English and Spanish. Try calling today at 718-920-CALM (2256)! Visit www.montefiore.org/healingarts-relaxationtracks to listen to and download even more relaxation tracks in English, Spanish and Arabic.